Yesterday I managed to f**k up the first B&W film ever during the developing. Congratulations for myself. 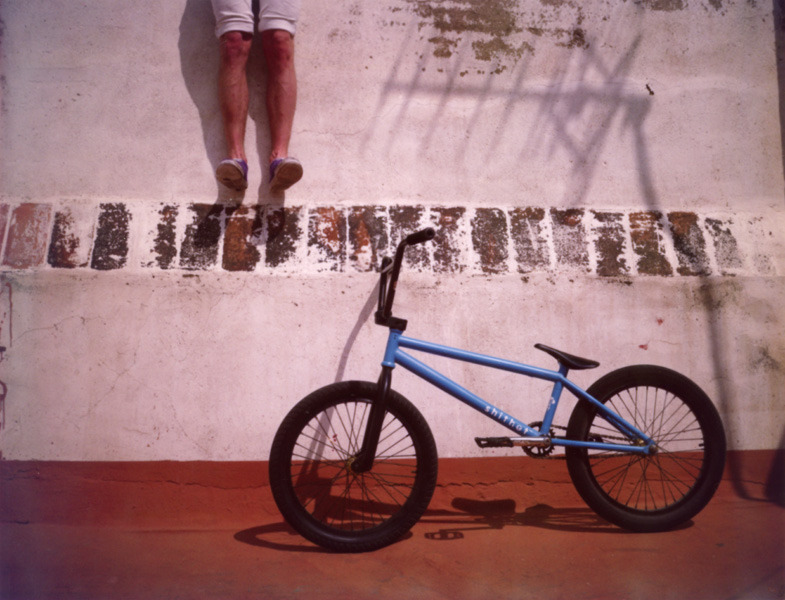 To compensate the agony, I took a sunny sunday portait of me an my bike Fancy on the high roofs of Barcelona. ↑ Jeremy Jay is shithot ©.